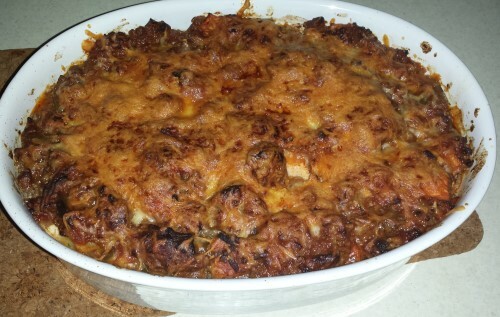 It has been years since I have made *real* lasagne. Once I found out about fake lasagne and how easy it was to make, without all the layering, I just make the fake version all the time. 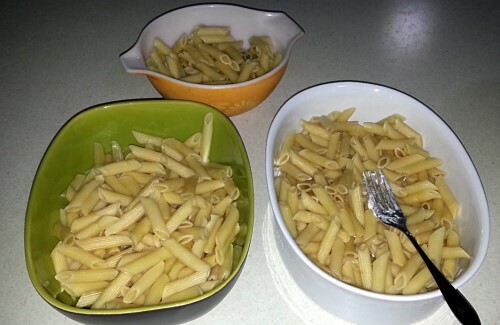 500G cooked pasta, spread out into baking dishes. 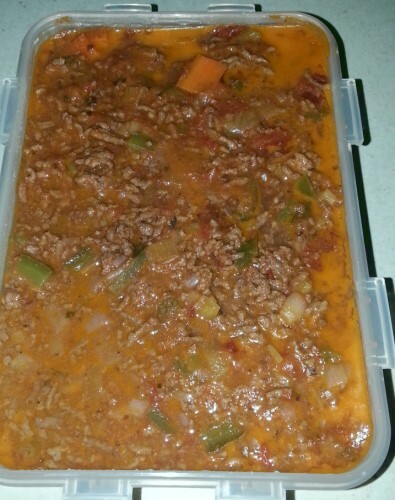 Pre-prepared bolognese sauce – you can also use napolitana or a non-meat sauce, that works just as well and there have been times I have used jar sauce, when I am too lazy. 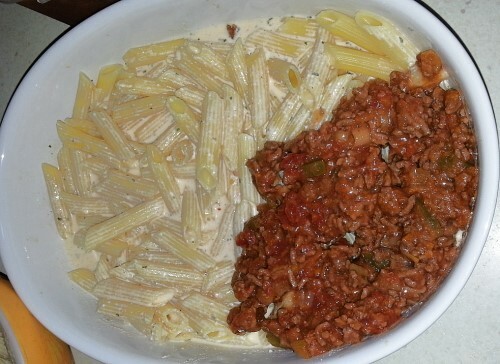 On this occasion I made bolognese sauce in the slow cooker the day before. Combine 6 eggs, 600mls cream, 500g tub of ricotta, whatever herbs and spices you like – I use paprika, cinnamon, parsley -in a large bowl. 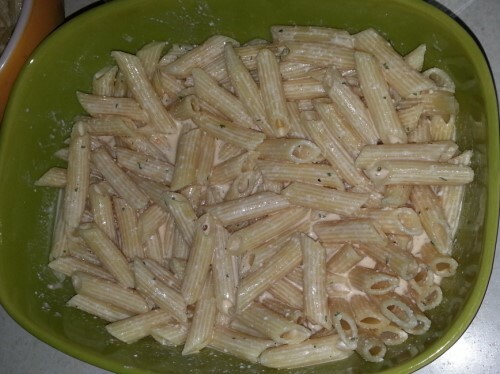 Pour egg mixture over the cooked pasta. 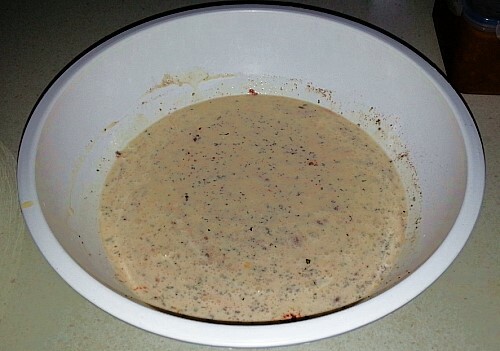 Layer your red sauce layer on top, making sure to cover the bottom layer. 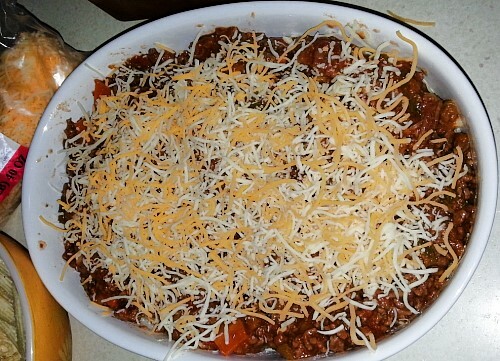 Once your layering is complete, sprinkle with cheese and place into 190C oven for 45 minutes. If you do not like your cheese crispy, make sure to cover with alfoil. On taking out of the oven, make a small hole in the middle. If the bottom layer is still liquid, it needs more time. It should be foofy and look a bit like whipped cream, but a cooked version. Foofy! What a great word! I haven’t made lasagna in years either. And I never put meat in the sauce. I use a jar sauce, but add extra garlic and onion, also shredded carrot, zucchini and finely chopped mushrooms. I like the traditional layered method with the rectangular lasagna sheet pasta. Wow this does look really good. Perfect for a mid-week lasagne craving.